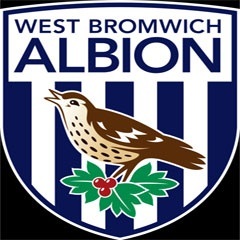 London - West Bromwich Albion will play in a 1968 retro kit in the Premier League match against Leicester City on April 11 to honour former striker Jeff Astle who died from a condition caused by regular blows to the head. The Premier League have granted permission for the club to wear the same white strip with red socks that West Brom wore in the 1968 FA Cup final when Astle's goal beat Everton. Astle died in 2002, aged 59, from Chronic traumatic encephalopathy (CTE) -- a progressive degenerative disease commonly associated with boxers and which was once referred to as being "punch drunk". Albion will wear the kit, numbered from two to 11 with no branding, to mark the launch of the Jeff Astle Foundation, set up to raise awareness of brain injuries in sport and offer support to sufferers. The kit will then be auctioned off to raise money. "There is a need to support the research required to understand more about the issues the Astle family have fought so hard to raise," West Brom chairman Jeremy Peace said. "I hope that on April 11, Jeff's old club will be seen to be honouring a promise and helping them. He would have wanted that." Astle, idolised by West Brom fans, made his debut against Leicester and played for the club for 10 years from 1964-74. The issue of concussion in sport has been in the spotlight recently with several high-profile incidents during the recent Six Nations rugby championship while former F1 world champion Fernando Alonso suffered concussion after a crash in testing.